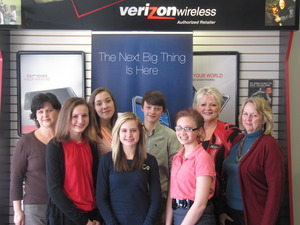 Carver Middle School’s TSA App Design team won “Best in State” in a recent Verizon App Challenge. Their application, Future Forge, is designed to help students explore and research careers in STEM; science, technology, engineering and mathematics. The team utilized information from PipelineNC, a North Carolina career management group, and a number of other media tools to form an unprecedented collection of resources.Students worked with faculty advisor, Sharon Stephens, to develop the concept for a mobile app that incorporates STEM and addresses a real need or problem in their school or community. While designing their app, students considered marketplace need, usefulness, audience and viability. The group submitted their design concepts online through a visual presentation accompanied by an essay justifying the importance of career education. “It has been an exciting opportunity for students to integrate what they are learning in school with mobile technology. We are using real-world skills to create a real-world product.” said Stephens.